GotFlagFootball.com (Got Flag Football) is a participant in the Amazon Services LLC Associates Program, an affiliate advertising program designed to provide a means for sites to earn advertising fees by advertising and linking to Amazon.com. 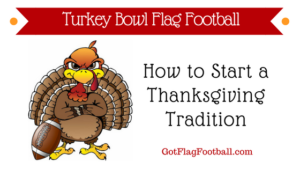 Web links that lead to Amazon will provide a small commission of any sale made with 24 hour to GotFlagFootball.com, at no additional cost to you (the shopper). The goal in linking to Amazon is to provide an income for the resources of time and money that go into creating pages and posts about adult flag football strategies, reviews on flag football gear, the largest directory of adult flag football leagues and games and other helpful content. Thank you for supporting our efforts to share information about the incredible sport of flag football. 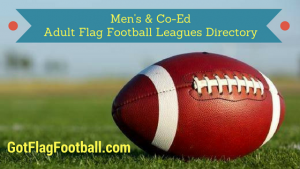 The purpose of the adult flag football directory is simply to make it easier and more convenient for you or anyone looking for a league or pickup game, etc to be able to find one in a city or state nearby. 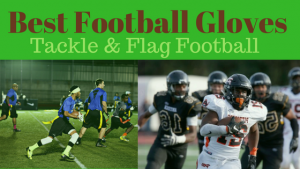 GotFlagFootball.com (Got Flag Football) is not responsible for the actions, thoughts or values of any league or pickup game organizer listed in our directory. Please use common sense and do your due diligence when selecting a flag football league or pickup game that is right for you!